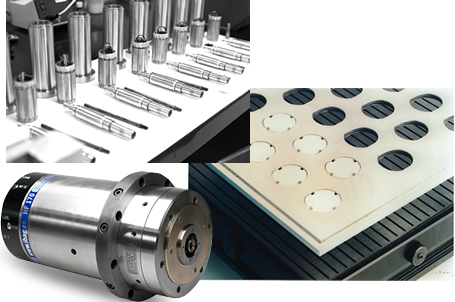 IBAG Switzerland designs and manufactures a broad range of advanced high speed milling spindle systems. With maximum speeds up to 170,000 RPM, and power levels up to 130 HP, IBAG can supply the right high speed spindle for your unique application. If you mill, grind, or drill, a high speed spindle can increase production, lower costs, and improve overall efficiency. For over 25 years, IBAG North America has supported the sales, service, applications, and rebuilding needs for the North American market. Experience is the key to success. Selecting the correct IBAG spindle system for your unique application is critical. And, properly integrating that technology with today’s CNC machine tools is vital. IBAG North America has extensive knowledge and experience to properly install your high speed spindle with a modern CNC machine tool, including mechanical and electrical features. IBAG's strict care and attention to detail is designed to provide you with the very best high speed cutting system you can buy. IBAG North America represents Witte Vacuum Work Holding Solutions in North America. 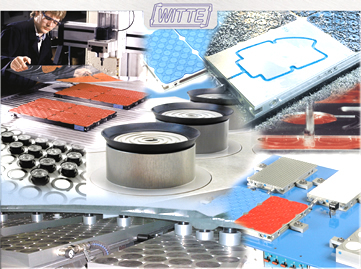 Witte is a German manufacturer that offers a full line of vacuum work holding equipment. IBAG North America will evaluate your unique part needs and recommend the right vacuum solution, including vacuum pump, chuck system, and accessories. Contact us today to see how IBAG North America can improve your bottom line with innovative high speed milling spindles and vacuum work holding systems.